"Head up to the top floor spa with its roof top pool and straight into the hot tub with wonderful 360 degree views of the mountains bathed In evening Alpenglow. The perfect way to unwind after a hard day on the slopes!" This superior hotel is proud of its good reputation for service and cuisine. One of the hotel highlights is the rooftop open-air pool with fantastic views of the Penken, Grünberg and Ahorn mountains. Ski hire is conveniently located next to the hotel and a free shuttle to different ski areas is provided for guests. Standard Austrian twins have shower. All rooms are tastefully furnished and have balcony, lounge area, cable TV, radio, telephone, minibar, safe, bathrobes and hairdryer. Sportshotel manni is very centrally situated and within walking distance of the penkanbahn. Excellent spa and pool facilities. Friendly helpful staff and good room cleaning. Would return here summer or winter. Manni's is a really nice hotel and we were made to feel very welcome by the friendly staff. The rooftop pool and hot tub are out of this world and a great way to end the day, with amazing views of the surrounding mountains as the sun goes down. 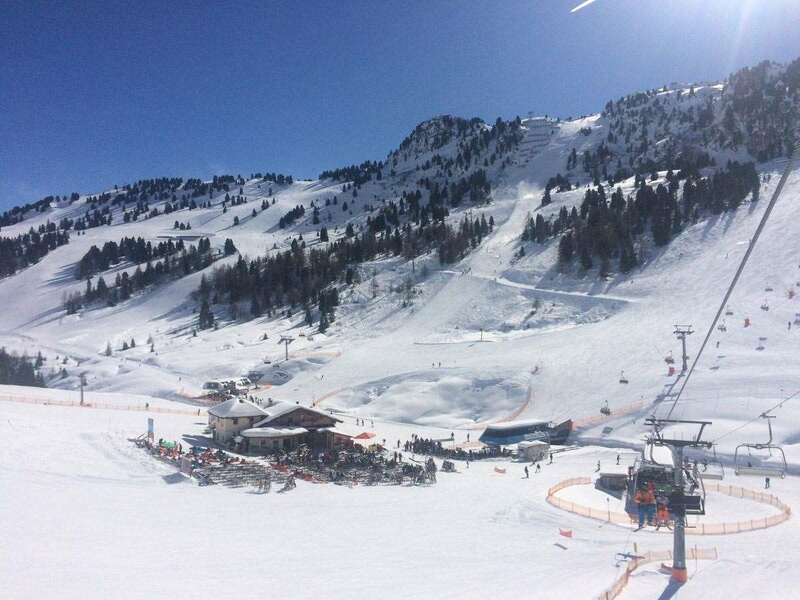 It's a few minutes walk to the Penken Gondola and be sure to stop at Gasser, the butchers (opposite the Penken) for a hot pork sandwich or to pick up something good for lunch. The skiing is great and there are plenty of great value huts on the mountain to stop for lunch and a gluvine. At the end of the day stop of for some après ski at the Elchbar (top of the Penken) and enjoy some cheesy euro beats and gluvine. If that gets you in the mood, at the bottom of the gondola you'll find yourself dancing on tables in the Icebar being served shots by a wolf! Definitely going back to Mayrhofen!